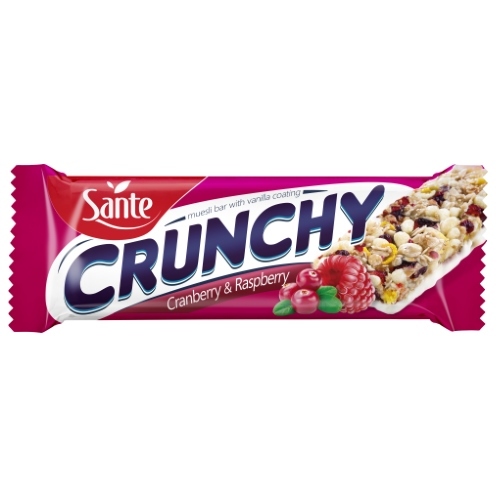 Crunchy bar with cranberry and raspberry is a grain product based on oat flakes with maize grits, in a delicious creamy coating. 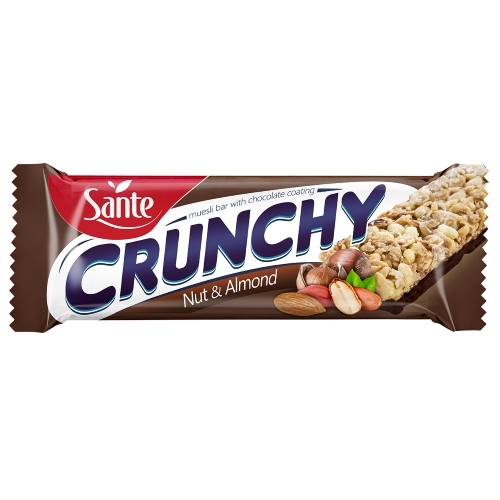 It is a rich source of complex cereal carbohydrates. White sugar in the Crunchy bar has been replaced with aromatic cane sugar. 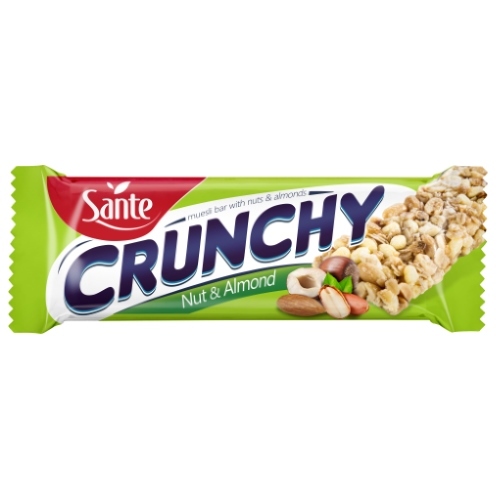 The Crunchy Bar is a tasty snack for every day, to be eaten at work, at school or in travel. 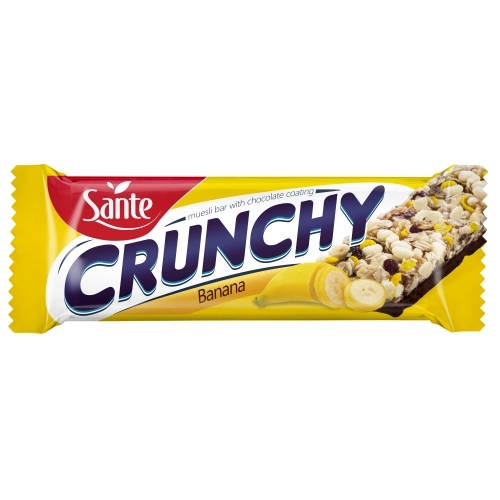 Cereals products 30% (oat flakes, corn grits, corn flour, rice flour), glucose syrup, sweetened dried cranberries fruited 10,7% (cranberries, cane sugar, sunflower oil), vegetable fats (non hydrogenated palm fat*, from palm breeze, shea) in varying proportions; sugar, whey powder (from milk), humectant: sorbitols; unrefined cane sugar, acidity regulator: citric acid; freeze-dried raspberry 0,27%, emulsifier: lecithins soy; salt, flavouring, barley malt extract, sea salt, natural vanilla flavouring.